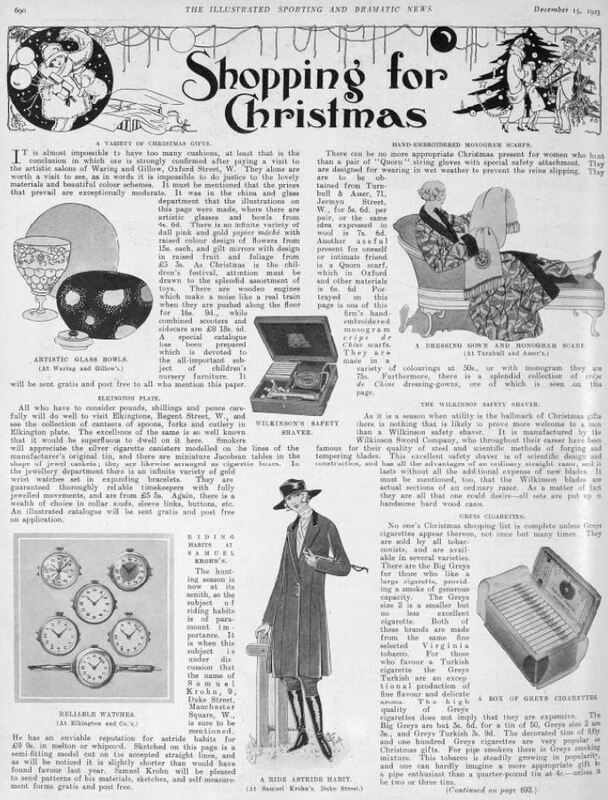 We are now counting down the days until Christmas, and there are only a few days of shopping left. 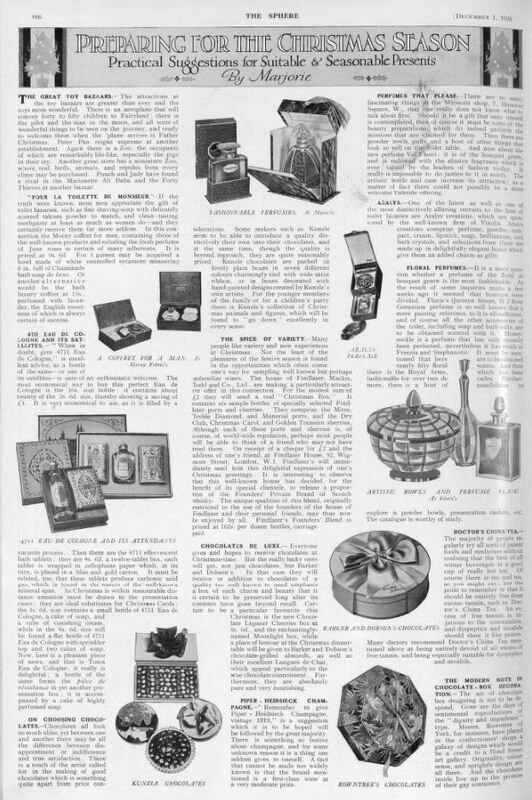 Many of us are looking for inspiration for that perfect gift. 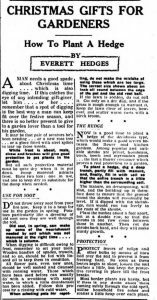 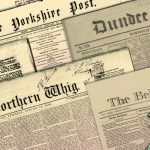 The newspapers found in The British Newspaper Archive can provide a number of gift-giving guides. 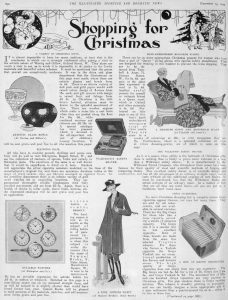 We can see an increase in Christmas advertising and gift guides from the late 18th century as mass consumerism became a trend of Christmas. 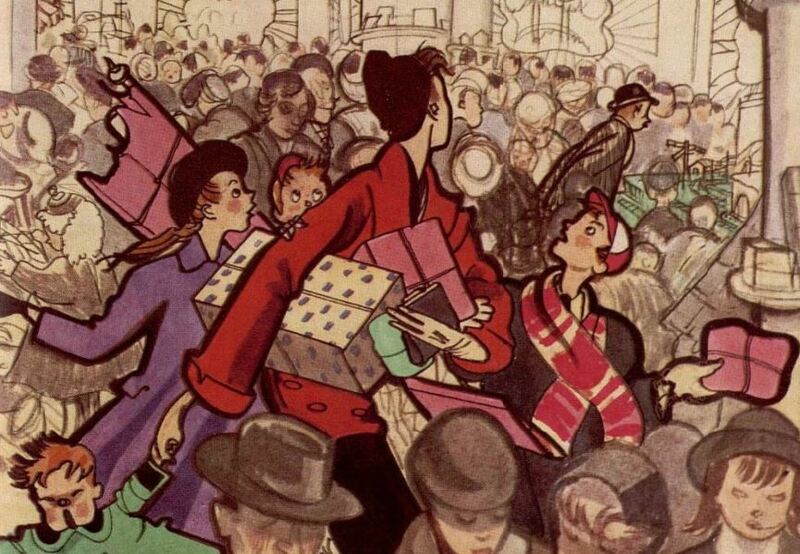 Before the days of social media, Pinterest, and Amazon wish lists, you had to work out the perfect gift on your own, but these guides were there to help. 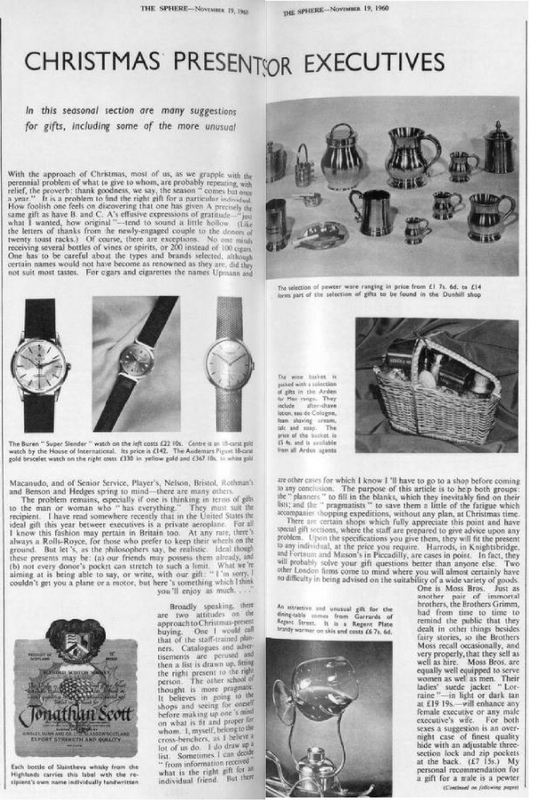 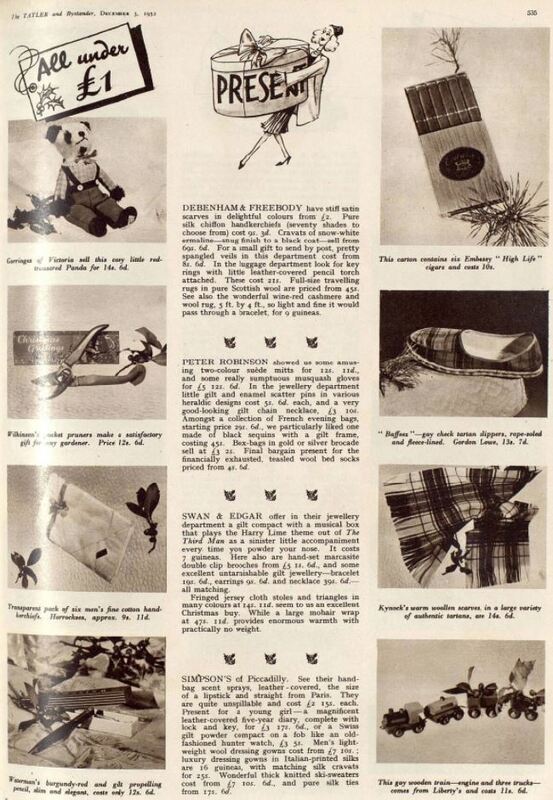 The Tatler took a practical approach to its guides of 1952, listing gifts by cost from £1 to £5. 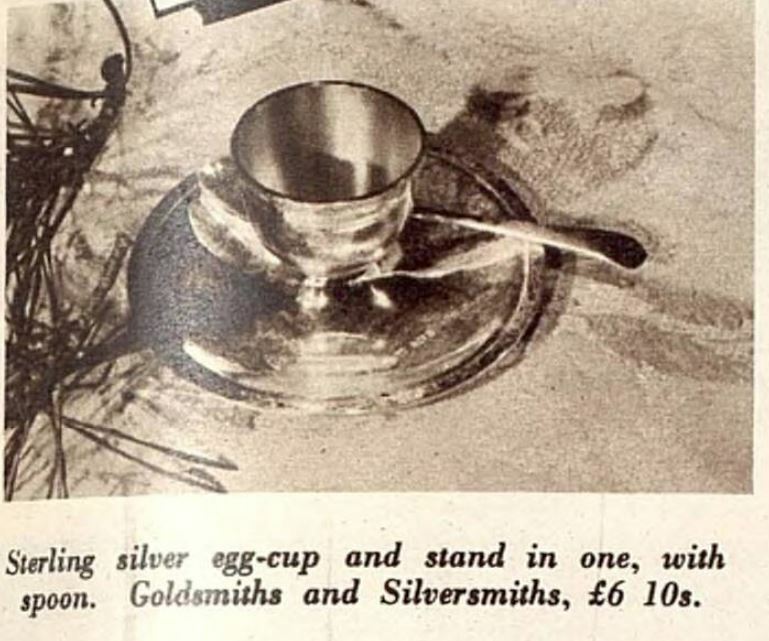 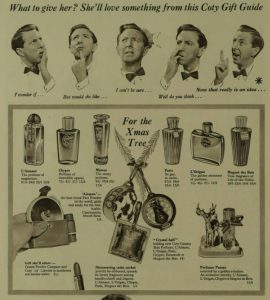 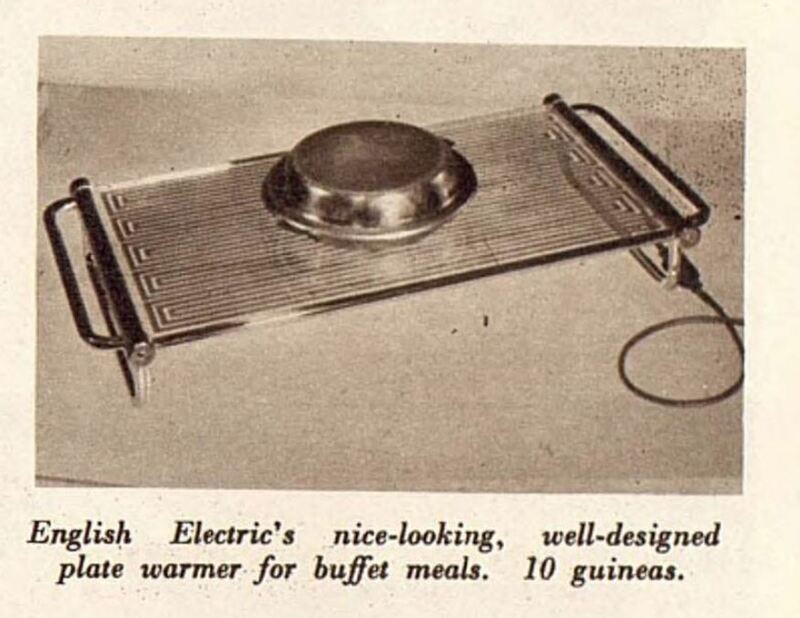 Gifts include pocket pruners for any gardener; a plate warmer for buffet meals; a silver egg-cup and stand in one, with a spoon; and a carton of six Embassy ‘High Life’ cigars (we don’t recommend that last one). 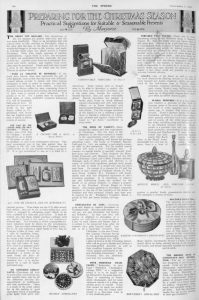 We found more gift ideas from the Illustrated Sporting and Dramatic News in 1923, including beautiful, artistic glass bowls and reliable watches. 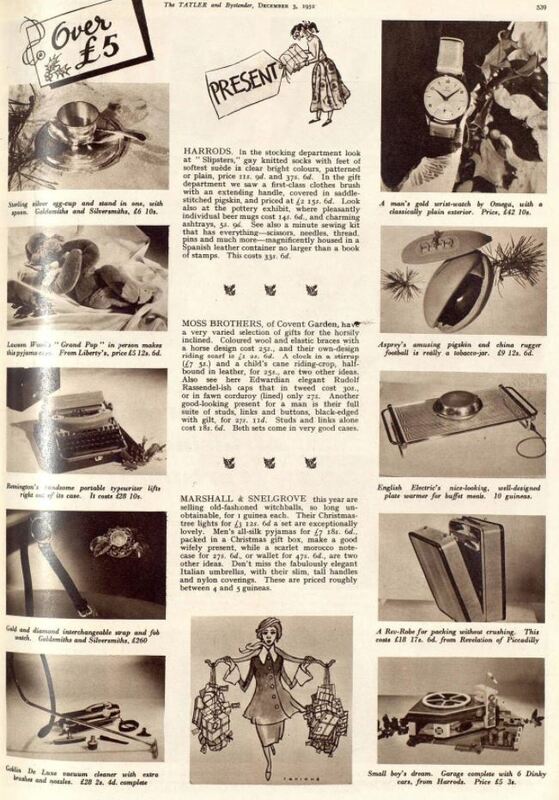 The Sphere gave us a practical guide for gift giving that could easily be used today. 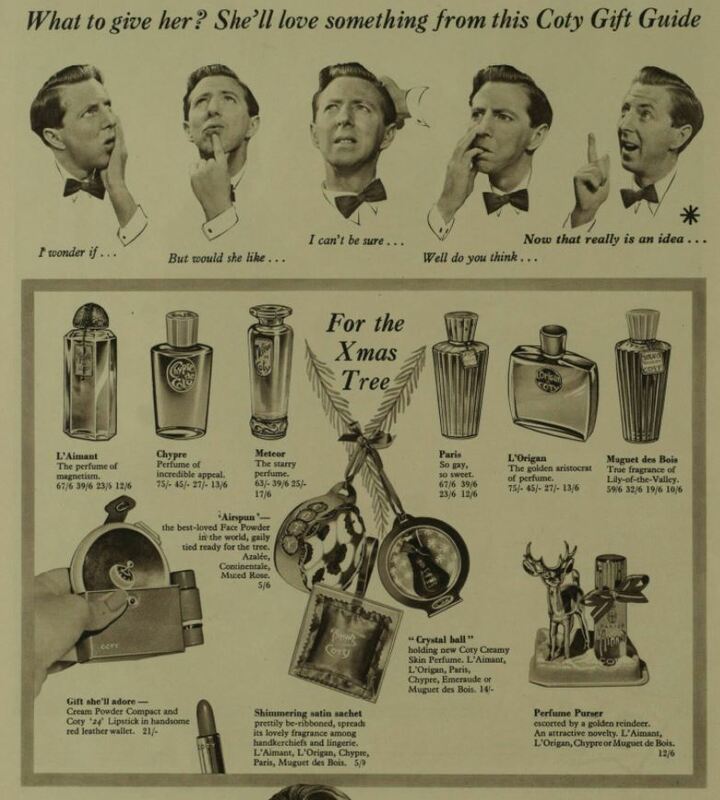 If you are hitting a wall for gift ideas you can always rely on perfumes, colognes, chocolates, tea, and champagne. 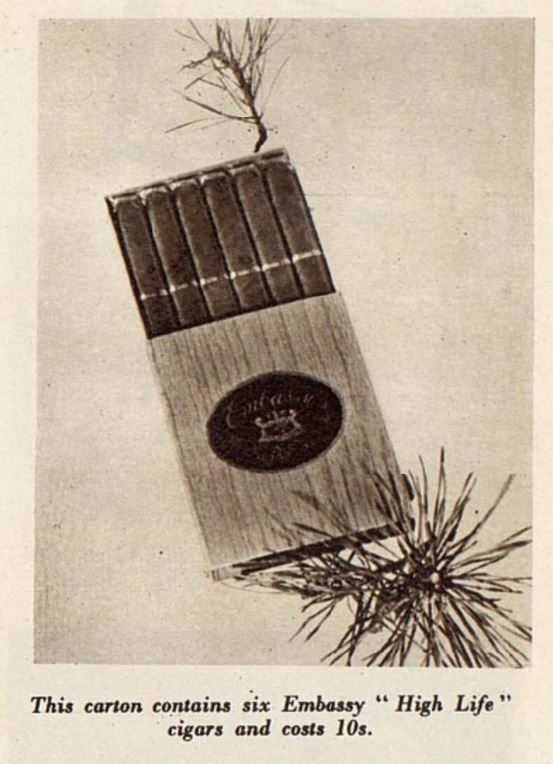 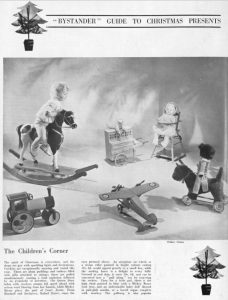 Children’s gifts have changed immensely since this guide was created by The Bystander in 1936. 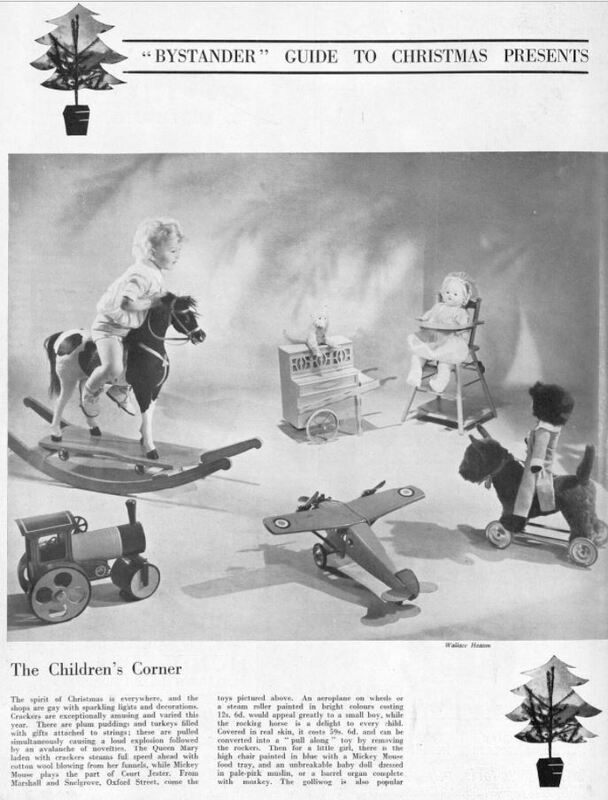 There are no mobile phones, tablets, or game consoles, instead, they recommended a rocking horse, doll with high chair, toy train, and aeroplane with wheels. 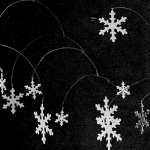 Explore our blogs for more Christmas cheer. 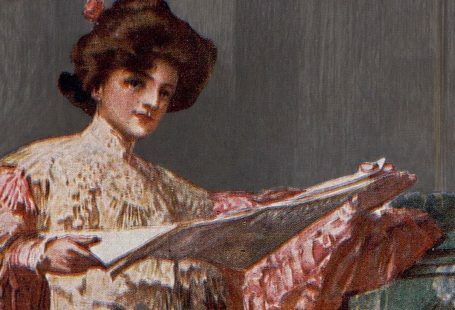 We cannot deny the fact that many of these gift guides reinforce historical gender roles. 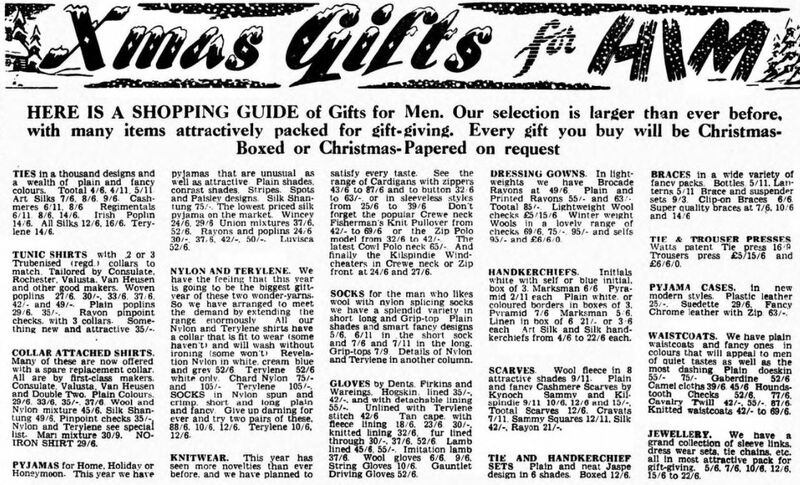 Homeware and makeup are recommended for women while sporting goods and handkerchiefs are recommended for men. 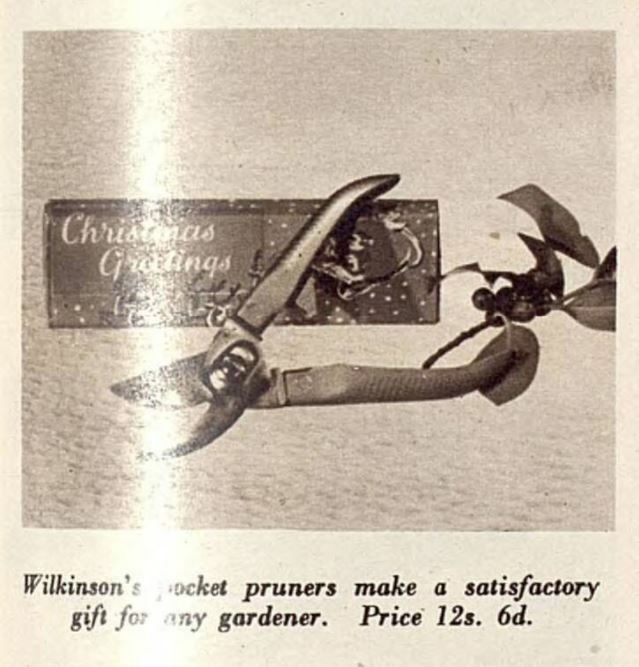 We have found many broad guides for gifts, but there are some for those in our lives with specific interests or lifestyles such as the gardeners and executives. 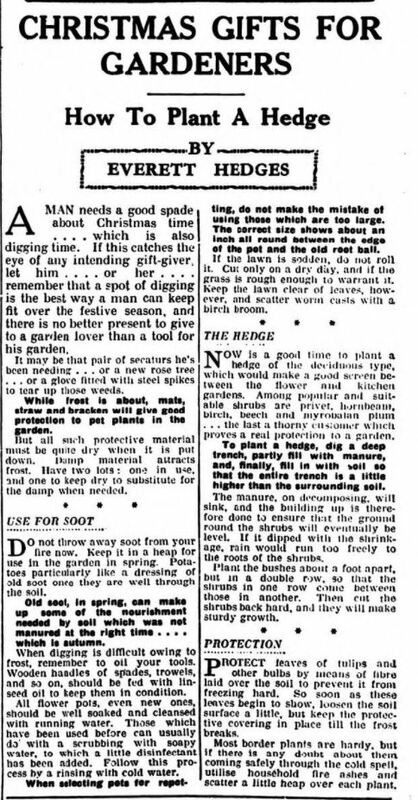 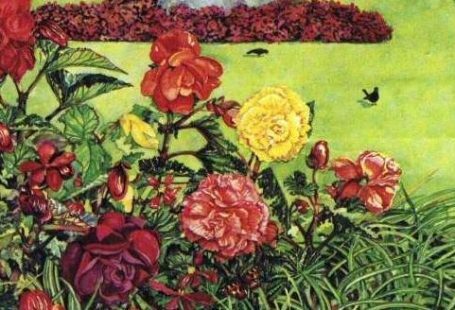 We know it is cold out there, but those in our lives with a green thumb would love a new spade, a glove fitted with steel spikes to tear up those weeds, or a new rose tree. 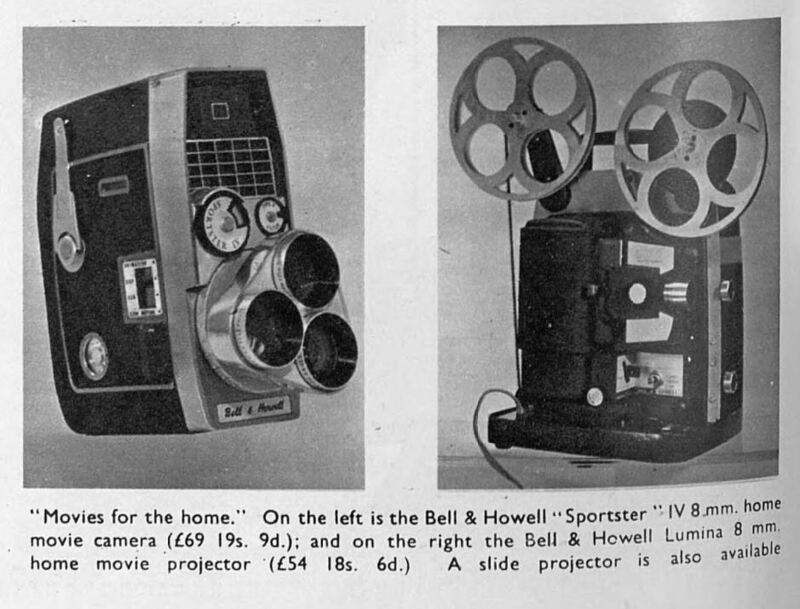 For the executive in your life, The Sphere offers a five-page guide for presents including golf bags, fishing equipment, and a Bell & Howard movie projector. 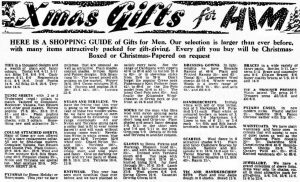 Subscribe today and discover more Christmas gift guides! 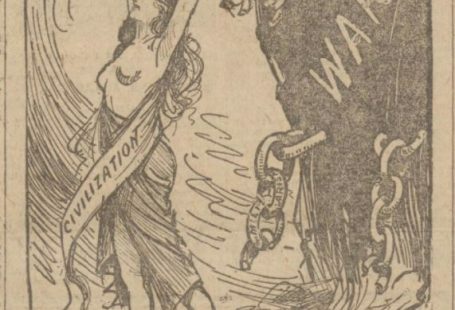 How do I search for a Giles cartoon published in the daily express in 1979?